Adrenal Gland Disorders are disorders of your adrenal glands when they make too much or too little hormone. This abnormal production results in Congenital Adrenal Hyperplasia, Addison’s disease or other types of adrenal dysfunction. Adrenal gland disorders are problems that arise in one or both adrenal glands. These are a set of paired organs located on the top of each kidney. 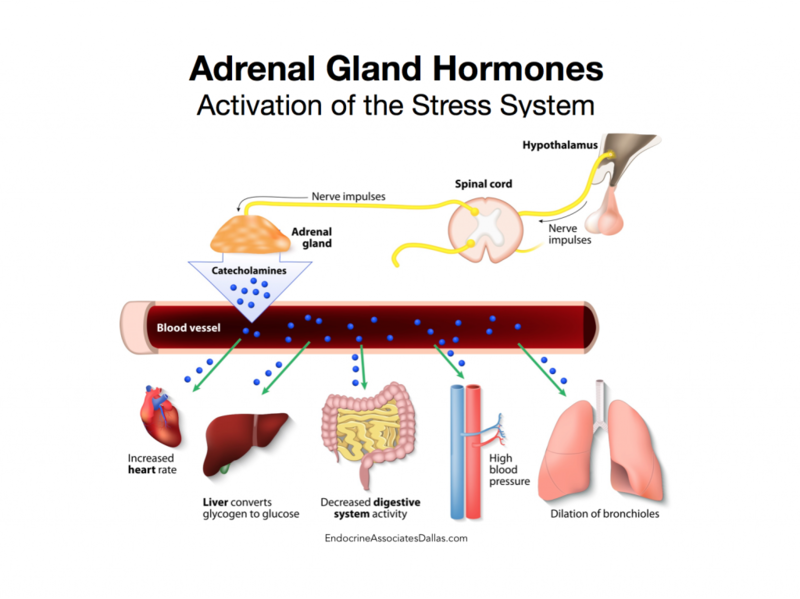 The adrenal glands are responsible for making several hormones and catecholamines (i.e., adrenaline). Each adrenal is composed of two parts: the inner portion, called the adrenal medulla, and the outer portion called the adrenal cortex. The cortex is further divided into 3 layers or zones. Each layer of the adrenal cortex and the adrenal medulla produce a different hormone. The adrenal medulla produces adrenaline, noradrenaline, and dopamine which determine the body’s physiological reaction to stressors in the “fight or flight” manner. Because of the many functions for which these hormones are responsible, when disrupted, a myriad of symptoms and clinical consequences can result. Adrenal insufficiency occurs when part or all of the adrenal glands are dysfunctional and do not produce hormones in sufficient quantities. This may result from a problem with the adrenal glands themselves called primary adrenal insufficiency. Alternatively, there may be an external factor negatively affecting the ability of the adrenal glands to function. In this case, it is called secondary adrenal insufficiency. Depending on the cause, some or all of the hormones made by the adrenal cortex may be produced in deficient quantities. While the adrenal medulla may also be affected, the nervous system continues to produce catecholamines in sufficient quantities for the body. There are multiple causes of primary adrenal insufficiency, the most common of which is destruction of the adrenal glands by an autoimmune process, also called Addison’s disease. Other causes of primary adrenal insufficiency include infections such as tuberculosis or fungal disease, cancer, or hemorrhage. The result of this process is deficiency of cortisol, aldosterone, and adrenal androgens. Left untreated, primary adrenal insufficiency can become very serious or even life-threatening. It is typically treated with a combination of steroids: oral glucocorticoids such as hydrocortisone and the oral mineralocorticoid called fludrocortisone. This treatment is taken every day for the rest of a patient’s life. In more acute or emergent situations, glucocorticoids and fluids are given intravenously. It is very important for patients with this condition to wear a medic alert bracelet so that healthcare professionals can quickly identify their need for steroid treatment. In secondary adrenal insufficiency, a factor outside the adrenal glands lead to the inability of the adrenals to make cortisol. Adrenal androgens may also be affected but do not typically require treatment. Examples of causes of secondary adrenal insufficiency include steroid use for other medical conditions such as inflammatory or autoimmune disease or disorders of the pituitary gland such that the hormonal signal sent from the pituitary to the adrenal is disrupted (see the Pituitary Disorder section for additional information). In secondary adrenal insufficiency, aldosterone and catecholamine production remain normal. The symptoms and signs in this circumstance are similar to those seen with primary adrenal insufficiency but do not include darkening of the skin or potassium problems. Treatment generally involves oral glucocorticoid replacement that may be lifelong or temporary, depending on the cause. In the case of permanent dependence on glucocorticoids, a medic alert bracelet is recommended. Occasionally, one or both adrenal glands may develop a growth on it called a “nodule.” As many people undergo imaging tests for a variety of health concerns, these are most often found incidentally. Adrenal nodules are quite common and are thought to be present in a significant portion of the adult population, especially with increasing age. The vast majority of these nodules are benign and “nonfunctional,” but occasionally they can produce one or more adrenal hormones in excess and are then deemed to be “functional” adrenal nodules. Very rarely, an adrenal nodule or mass can represent malignancy, either arising from adrenal tissue or as a metastatic focus from another cancer. When found to have an adrenal nodule, consultation with an endocrinologist is important so that functionality of the nodule can be determined. The initial testing is composed of a combination of blood and urine tests for each hormone. It is recommended that, even if the nodule is benign or nonfunctioning, these nodules she be followed over time. Cushing’s syndrome is a complex disorder resulting from the over-production of the adrenal hormone, cortisol. Most commonly, this syndrome results from chronic use of steroid medications such as prednisone, used to treat inflammatory and autoimmune disorders. However, Cushing’s syndrome can also occur when an adrenal nodule produces too much cortisol, or more commonly, when the pituitary gland produces too much adrenocorticotropic hormone (ACTH). Increased production of ACTH will result in the increased production of cortisol from the adrenal glands (see the section on Pituitary Gland Disorders for additional information). In some cases, the signs and symptoms of Cushing’s syndrome are much more subtle. This is often seen in patients with cortisol producing adrenal nodules. The clinical evaluation of Cushing’s syndrome is complex and often requires several different dynamic endocrine tests to establish the diagnosis. Examples of the required testing include dexamethasone suppression testing, 24 hour urine collection for cortisol, and midnight salivary cortisol testing. Endocrine Associates of Dallas is able to provide all of the necessary testing for patients. Treatment for Cushing’s syndrome arising from the adrenal gland is most often surgical. 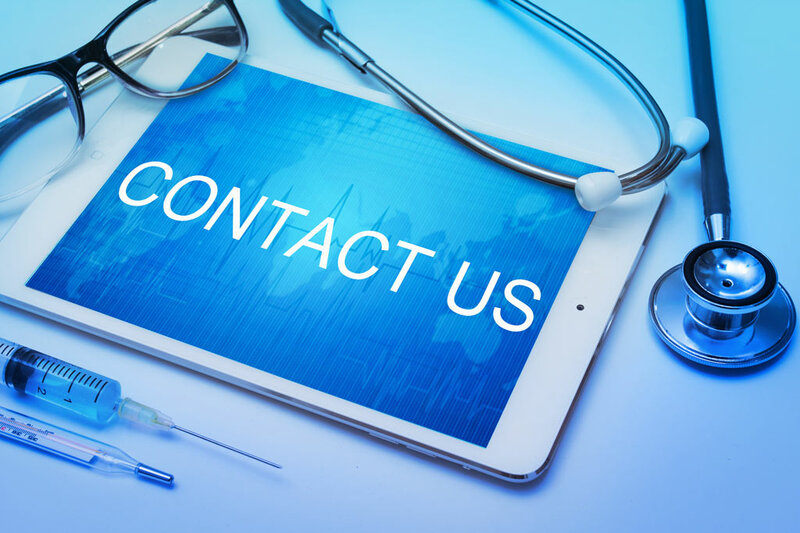 We have established relationships with multiple adrenal surgeons in Dallas and will work with him/her to optimize your perioperative course. Hyperaldosteronism, also called Conn’s syndrome, results from the overproduction of the adrenal hormone, aldosterone. When this occurs, the kidneys reabsorb excess sodium and water while excreting excess potassium. The result is uncontrolled hypertension (high blood pressure), accompanied by low blood levels of potassium, both of which are resistant to usual doses of medication. Hyperaldosteronism can be caused by overactivity within both adrenal glands (bilateral adrenal hyperplasia) or be caused by a solitary benign tumor in one of the adrenal glands. Less commonly, a genetic cause may lead to hyperaldosteronism. Testing for hyperaldosteronism involves a stepwise approach which can be lengthy and complex. Many of the traditional medications used for the treatment of high blood pressure interfere with this testing. Endocrine Associates of Dallas (EAD) and Plano, we will work closely with each patient to accomplish the necessary testing in the setting of optimal treatment of blood pressure and potassium derangements. Examples of possible tests include simple blood tests, salt loading, and adrenal vein sampling. Treatment for hyperaldosteronism may involve surgical removal of an adrenal gland or medication to block the action of aldosterone. Examples of these medications include spironolactone and eplerenone. This rare endocrine disorder arises from hormones produced in the adrenal medulla, catecholamines. A pheochromocytoma is a tumor that produces too many catecholamines. As a result, patients experience “spells” of headaches, palpitations, high blood pressure, anxiety, or a sense of impending doom. Most commonly, these tumors are benign and located in one adrenal gland; however, bilateral disease may rarely be seen. In addition, these tumors may be found outside the adrenal glands; when this occurs, the tumors are called paragangliomas. Most cases are spontaneous but can also run in families and/or be accompanied by other endocrine disorders such as medullary thyroid cancer or pituitary tumors. The testing for pheochromocytoma involves either blood or urine testing, along with careful examination of the images acquired either through CT or MRI. Other, more sophisticated imaging may also be used in needed. 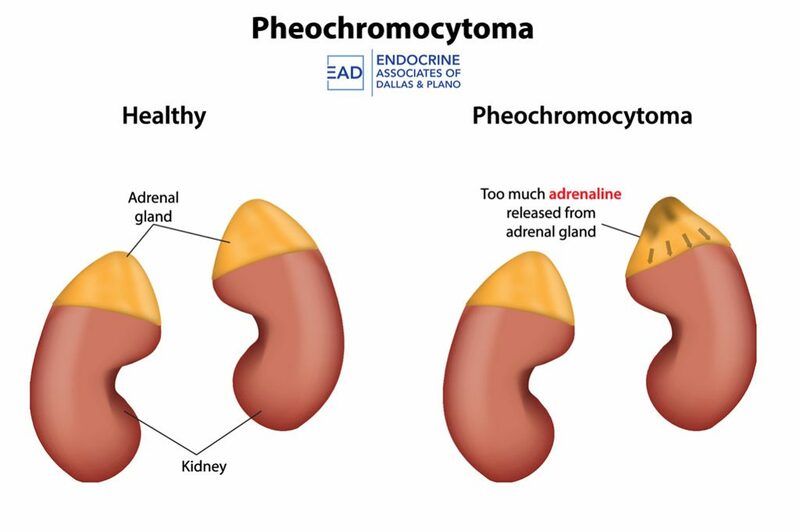 Treatment of pheochromocytoma is almost always surgical with removal of the affected adrenal gland. Prior to surgery, medical therapy directed by an endocrinologist is crucial to avoid poor surgical outcomes. We use medications called alpha blockers (i.e. phenoxybenzamine, doxazosin, prazosin) to optimize blood pressure prior to surgery. In addition, beta blockers and/or calcium channel blockers may also be needed for ideal blood pressure and heart rate control prior to surgery. Congenital adrenal hyperplasia (CAH) is a disorder resulting from abnormal adrenal hormone synthesis due to defects in the enzymes needed for adrenal hormone production. There are several forms of this disease depending on which enzyme is affected. Most cases of “classic” CAH are diagnosed in infants after confirmatory testing prompted by a positive newborn screening test. However, milder cases (“non-classic”) may not present until later in childhood or even adulthood. Treatment for congenital adrenal hyperplasia requires oral steroids to suppress the excessive production of adrenal steroids. Consistent treatment will help promote proper growth, sexual development and function. 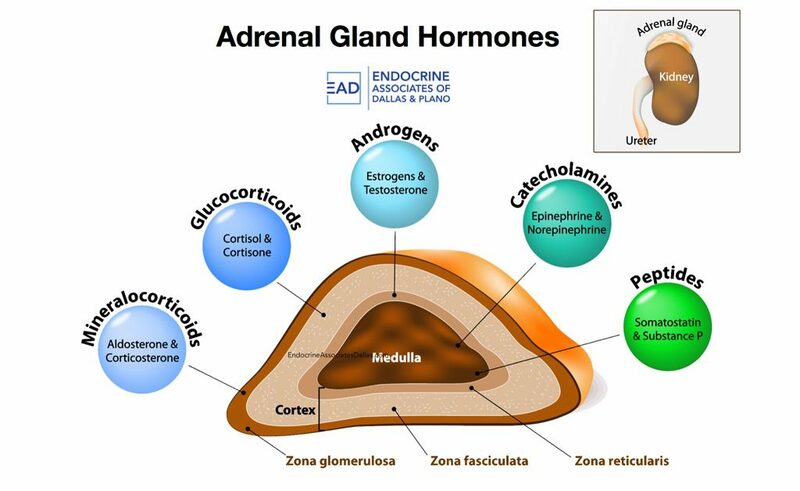 The physicians at Endocrine Associates of Dallas (EAD) and Plano look forward to assisting our patients with proper diagnosis and treatment of adrenal disorders so that the best outcomes are possible.